Chetan Bhagat (born 22 April 1974), is the author who is credited with literally making India read again as well as reviving the Indian Publishing Industry. His books are widely successful and post his success, many youngsters started aspiring to become authors as well. In 2008, Chetan Bhagat was named the biggest selling English language novelist in India’s history by none other than the prestigious New York Times. He also features in TIME magazine’s 100 top influential people in the world. He writes op-ed columns for many English and Hindi newspapers, including the Times of India and Dainik Bhaskar. Chetan Bhagat is an IIT and IIM graduate and an ex- international investment banker, and now a bestselling author and a motivational speaker. He also actively works for youth and national development. 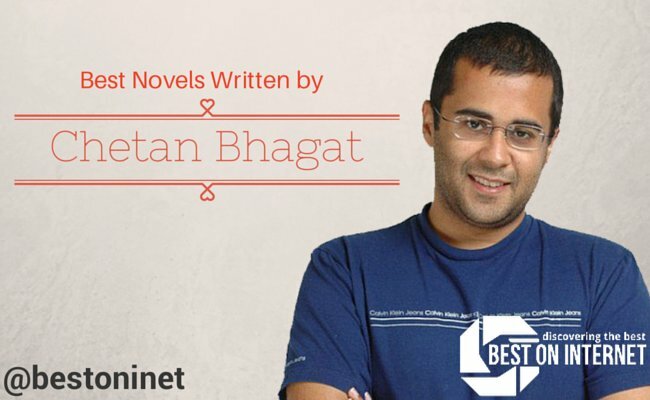 Below are the best novels and books written by Chetan Bhagat. For majority of Indian Guys, Engineering is not a choice, it’s a way of life that is expected of them since the day they were born. Five point someone is a story of three such guys who end up in India’s most prestigious Institute: the IIT, by cramming and mugging their way through entrance exams. The book does not deal with engineering neither does it have pointers on how to clear the entrances. But it does delve on the fact that no matter how hard getting into an IIT is, it is even harder to survive if your heart is not in it. Six call center employees, spending night after night helping Americans with their appliance issues. 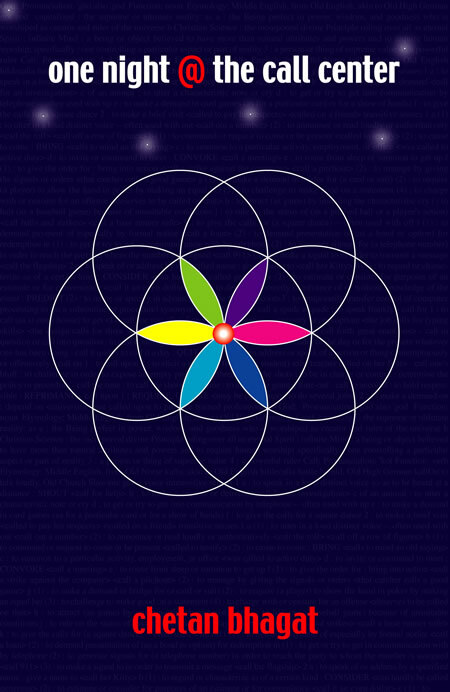 Each dealing with issues, each feeling that there is now no way out of the problems. 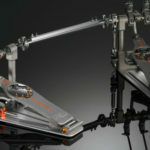 There is a clash between ex lovers, between modern and traditional sensibilities, between generations and between them. But, on Thanksgiving day, they receive a call, that would change their fates and in turn their lives forever. Who was the caller? God. Even though divided by castes, states, age, religion, gender and even the colors of skin there is one thing that has woven itself into the soul of every Indian: CRICKET. 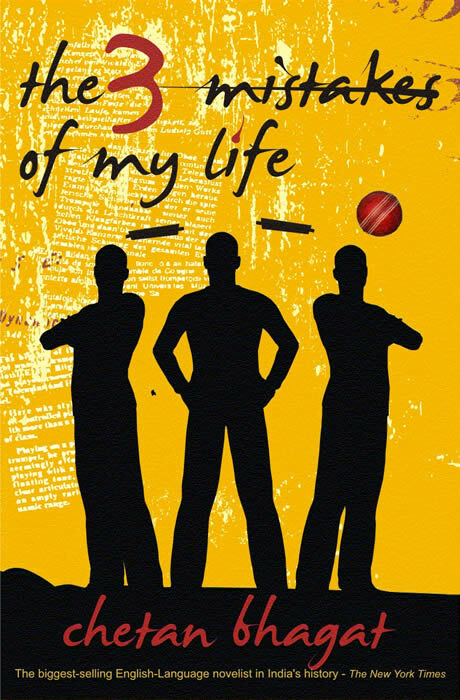 In this book, Chetan Bhagat brings together a love story set in Ahmedabad, Gujarat with elements like cricket, riots, earthquake. Two people meet, fall and love and then get married, Right? WRONG. This is India, the land where Taj Mahal: The epitome of love is situated. But the fact remains that diversity did not lead to unity. 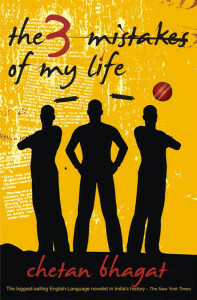 Loosely based on Chetan Bhagat’s life, this is a love story with a twist of reality. 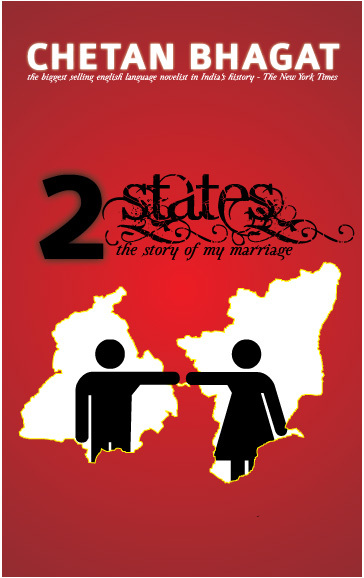 A couple from two states (thus the name), decide to marry. 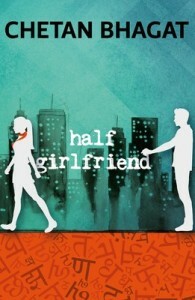 The book deals with the trials of the young couple in their journey of trying to convince their parents to each other. Based in Varanasi, this is a coming of age story. Three childhood friends find their relationship tested again and again. Gopal, Raghav and Aarti find themselves making life changing decisions, what does destiny have in store for them? 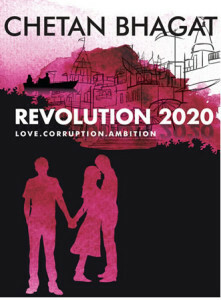 The book’s tagline: Love, corruption and Ambition aptly sum up how each character’s fate changes with the decisions they have to make. More than friends, but not ready to be committed to each other? 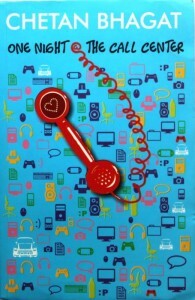 Madhav and Riya find a perfect solution to this complex relationship problem. Riya becomes Madhav’s Half Girlfriend! Madhav, a Bihari guy who is not so proficient in English, falls in love with Riya, a Delhi Belle who spoke impeccable English. Riya saw a friend in Madhav, Madhav saw girlfriend in Riya. Thus, the compromise. Apart from this being a love story, it is also somewhere looking at the people from two and three tiered cities who are judged based on their knowledge and proficiency in a language and their aspirations and attractions for the English speaking crowd. Will this compromise work out? That leaves to be seen. This book is the latest from the Author of the eight blockbuster books. 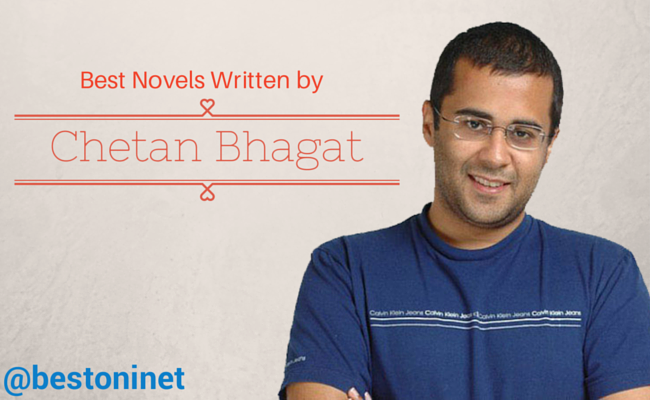 Chetan Bhagat’s books, whether they are novels or non-fiction, remains bestsellers since their release. 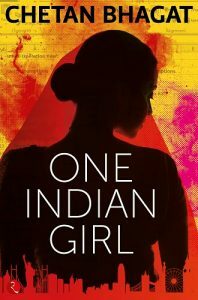 “One Indian Girl” is about an independent and intelligent Indian girl Radhika Mehta who is successful and has an opinion on everything. She works in an investment bank and earns a lot. She finds it difficult to get love, though. The book questions the society about its judgment on women achievements. While being intelligent and successful is a prerequisite for a man, but the same is a big snag for a woman in many situations, especially where it comes to love. What the book asks in detail and how the typical thinking people respond to it, is an interesting thing to be seen. But, Kangana Ranaut who is a famous Bollywood actress has already desired that she will be happy to play the lead role in the film adaption after reading the first manuscript of this novel. Please share this list with your friends. Again a commendable piece of work by Chetan. Let’s make this more succesfull on a 72 mm screen with a dynamic star cast. emerging writer whose works commonly deals with recent trends and attitude of the young and adult ones…. hats off. sir, your novels are best novels .keep writing novels for us. 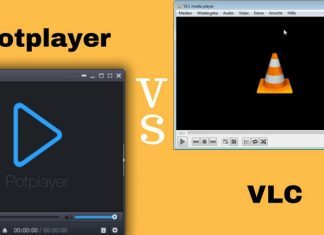 Hey are u serious. You read all of them?? Awesome 2 states I just merged with it Wow!!!! I have read all of his novels and my favorites would be Three Mistakes of my life, Five Point Someone, 2 States and Revolution 2020..
awsome book revoultion 2020…..and 2 states the most. 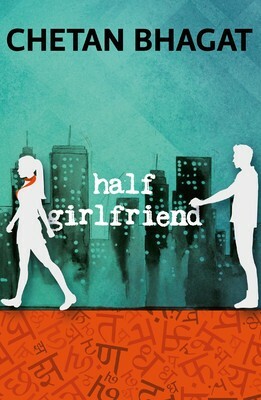 half girlfriend is simply awesome book…..i really enjoyed reading that book….now i got to know why chetan sir is so popular writter…. read the book meanwhile some pictures are came in my mind like same story. I LOVE IT.SUPERB STORY. 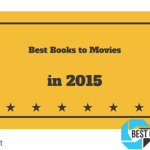 Every blockbuster novels are good to read…Keep going well…. Revolution 2020 is first novel.. …which i have read.. 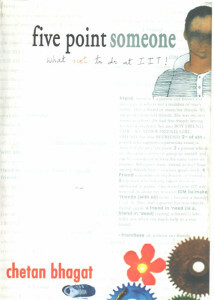 In my life..really very heart touching and my favrt novel.. ..
its a pleasure 4 us to have a person like u …. i find myself very reliable to born on same date….!! but birth doesnt matter bt wt the matter is yr deeds…. i have nt yet read ur single book bt i am also a fan of ur thinking….!! it really inspired me …!! bt know I’ll Try to do so….